The Red Sox ace leads his team to a 3-1 win over the Cardinals with as dominant a World Series outing as you are likely to see. Lester’s career World Series, and indeed playoff, statistics are out of this world. There is still plenty of baseball yet to play in this 2013 World Series. We have seen pretty much everything and anything the wonderfully unpredictable sport of baseball can throw at us at this juncture. Game-ending pick-offs and game-ending pedantic rule-book type calls. A couple of juicy plays in the field, a couple of big bombs and some dynamic, overpowering pitching. St Louis sends their nominal ace, Michael Wacha, to the mound tomorrow night in Boston and he alone is very capable of keeping the series alive. The bookies might be calling Boston the prohibitive betting favorite, however those who have seen enough of the 2013 playoffs know, this one is not over by a long shot. The teams are traveling to Boston today, and this gives us a chance to pause and recognize what is fast becoming the absolutely glowing playoff resume of Boston’s combative, regal ace, Jon Lester. Last night the Cardinals as if played game six as was their remit, what Dennis Eckersley might call a have-to-have-it type game. With Adam Wainwright on the hill and their red-clad, white towel waving fans behind them, they wanted game 5 bad, and it showed. Standing in front of them, a thin grey road jersey line called Jon Lester. 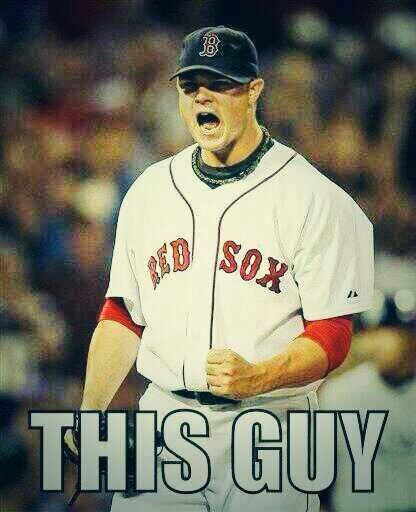 Red Sox fans know when Lester is on, and indeed when he is off. He has had some issues the last couple of seasons, not enough to derail what has been a truly splendid career to date, but enough to get the knuckle heads on Twitter vomiting out garbage like ‘Lester, ace? Give me a break!’ after a poor start. During a handful of admittedly poor starts, by his lofty standards, Lester ‘nibbled’ like Daisuke Matsuzaka at his worst. His body language was at best, poor, and his strikes-to-balls ratio was awful. There’s no doubt Lester would admit there were a few starts that would have had Red Sox fans wincing, as fastball after fastball was overthrown perhaps, and dragged out of the strike zone. Lester is a terrifically hard worker, however, and anyone who has followed his career to date noticed his much improved performances as the playoffs came close. The competitive monster dwelling deep inside Lester’s heart was obviously roused, and eager to show baseball what it could do on the big stage. The fact is, historically, there are very few Major League Baseball pitchers who have achieved what Lester has done under the brightest lights of all. Lester absolutely pounded the strike zone all night long, not letting up at all, driving the Red Sox past the Cardinals, completely abusing the lower half of the Cardinals order in particular. The big lefty gave up just the one run (on a lazy fastball that the Cardinal’s Holliday knew exactly what to do with) and a stingy 4 hits, along with seven, often emphatic, strikeouts. In two World Series games against Lester, over 15.1 innings total, the Cardinals have managed a grand total of one run. This means that Lester has now started 3 World Series games, winning all of them, and he has allowed 1 solitary run over 21 innings total. 1 run in 21 World Series Innings. "..sometimes there's a man... I won't say a hero, 'cause, what's a hero? But sometimes, there's a man. And I'm talkin' about the Dude here. Sometimes, there's a man, well, he's the man for his time and place. He fits right in there."